Following her father’s death and the lukewarm reception from her relatives, Beatrice Nash is compelled to seek out employment on her own. After traveling the world with her father and handling all his papers and correspondence in exotic locales, East Sussex is quite the lackluster destination. But, in 1914, a woman seeking a position as a Latin teacher, must accept any opportunity that is offered. Agatha Kent is a force to be reckoned with in the small, insulated community of Rye. Her reputation and word are on the line as she has pushed for the hiring of Miss Nash. Her husband works in the Foreign Office and although there is plenty of unrest on the continent, no one is very concerned during this idyllic summer. As Agatha and John Kent have no children of their own, they dote on their two nephews. As different as can be, Daniel dreams of writing poetry and enjoying the pastoral life while Hugh works to finish his medical degree and impress both Sir Alex Ramsey, his mentor, and Lucy, his daughter. Both nephews, however, dote on their aunt and assist with her numerous involvements. And so begins a summer in Rye. Beatrice tutors three reluctant and diverse boys from the community, the Mayor’s wife continues to flaunt her position and influence, and the town opens its homes to Belgium refugees. Although the refuges tell of the horrors of the war, the town continues to live in denial until the inevitable happens. As England joins the war, the town and its population will never be the same. Wow! This book was nothing like I expected. I was familiar with the author whose first book, Major Pettigrew’s Last Stand, garnered a great deal of attention and honors, but I haven’t read it. It is now on my list. The book starts as a truly beautiful and nostalgic visit to simpler times. The town gossip, the shock at a woman riding a bicycle, the prejudice towards both the Belgium refuges and the traveling gypsies all encompass the minds and talk of the townsfolk. A friend asked me what I thought of the book when I was about two-thirds of the way through and I said it was “nice.” It was a quiet, peaceful, armchair kind of read. Then suddenly for the reader, the shock, horrors, and reality of the war are thrust into the forefront. The author created the same feel for the reader that townspeople must have felt; all that they held true and right was destroyed in an instant. I enjoyed the first two-thirds of the book; I was riveted by the final third. The author slowly and meticulously shows the destruction of a previous way of life. I gasped and sobbed as I finished the final third of the book. I felt compelled and driven to continue reading but at the same time was constantly fearful and anxious as I turned each page. Truly a brilliant work and one I highly recommend. On a separate and a bit humorous note, I accidentally purchased the Large Print version off Amazon. I’m not quite to the age or need for this type of book, and I struggled a bit with the format. As I got further into the story however, I was reminded of my grandmother who used to read the Large Print versions of books, and although she was just a child at the start of World War I, I couldn’t help but think of how her family and life were also forever changed. I’ve been reading a lot of post-World War I books recently, but few before the war. The contrast between the times is sweeping and heart-breaking but I admired the endurance of the characters and their spirit. 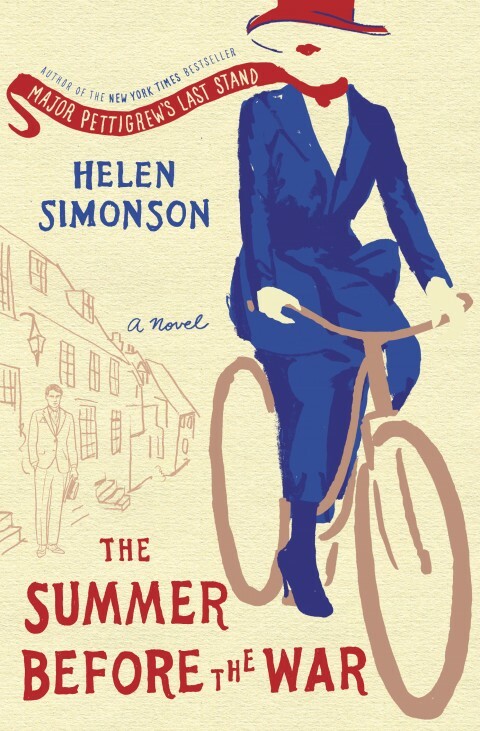 This entry was posted in Individual Books and tagged Belgium refugees, England, gypsies, Helen Simonson, Major Pettigrew's Last Stand, Sussex, The Summer Before the War, World War I on September 21, 2016 by kvgaughan.